Daruma is a traditional Japanese character based on the monk Bodhidharma, the founder of the Zen tradition of Buddhism. Daruma is a cute way to help someone you love focus on their dreams, wishes and goals through the power of visualisation. My daughter was sent one by her Grandma – a beautiful white one -as she tackled her GCSEs this summer. It sat on her desk wishing her well while she revised and reminded her that her family were rooting for her even if far away. 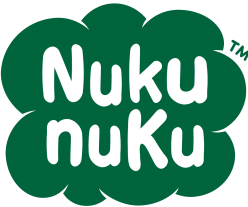 We love this Japanese concept so we decided to branch out from our haramakis and offer a limited edition screen-printed version with our friend Kat from InkyKat Studios. 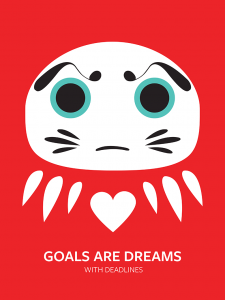 Daruma reminds us to never give up on our goals. The Japanese say it shows them to “Fall down 7 times get up 8 – Nana Korobi Yaoki” – the never giving up spirit so valued in Japan. Usually Daruma is a small doll made from Papier-mâché the recipient colours in 1 eye while thinking of what they want to achieve. They then crack on while focussing on their goal with Daruma watching from the sidelines and reminding them of the goal. Once the goal is achieved then the second eye can be coloured in and kept as a reminder of success to motivate the person onwards. Our Daruma is the perfect ‘Good luck’ present. The recipient colours in one eye while thinking about what they want to achieve. 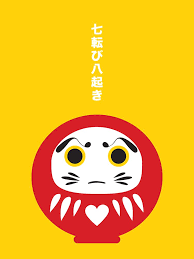 They then hang Daruma on the wall or prop them up on their desk to guide them while they strive towards their goal. Once they have achieved their goal they colour in the other eye and keep the print as a reminder of what they have achieved (we advise using fabric paint or Sharpie). A handmade papercut screenprinted in water based ink onto white cotton fabric and mounted. 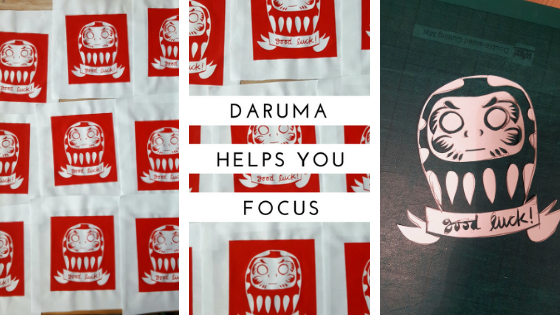 The print of Daruma is red. The print itself measures approximately 15x17cm and comes in a high quality white 30x21cm (A4) mount cut to fit a ready made frame. Each print is signed and dated, has a backing board and is wrapped in cellophane and carefully packaged flat to ensure safe arrival. Get yours here now – free domestic shipping too! It will come with an explanation and instructions on how to use.